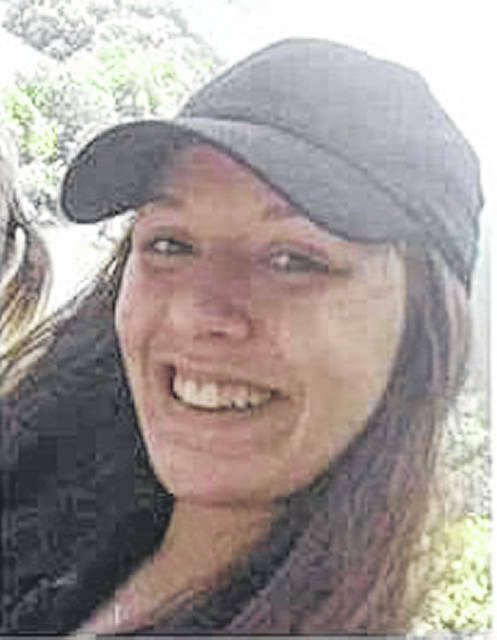 At least 30 emergency personnel were in Hillsboro on Thursday searching for Lanessa Roosa, a 21-year-old Hillsboro woman who has been missing since Jan. 1, when she was last seen allegedly running into a wooded area behind the Greystone Motel. Highland County Sheriff Donnie Barrera said Friday that 30 to 32 officials from his office, the Ohio Bureau of Criminal Investigation with three cadaver dogs, Hillsboro Police Department, Greenfield Police Department, Highland County Prosecutor’s Office, Paint Creek Joint EMS/Fire District and Highland County Emergency Management Agency searched an area from behind the Gerystone Motel to SR 124 from about 10 a.m. to 3 p.m. Thursday, but found nothing. Barrera said law enforcement and Roosa’s family have not heard from her since she was released from jail by the Greenfield Police Department for medical reasons, was transported to the Greenfield Area Medical Center, then walked out of the hospital on New Year’s Day before ending up at the Hillsboro motel. The sheriff said emergency personnel wanted to search the woods before the trees bloom and ground cover growth might hide evidence of her whereabouts. He said detectives have remained in contact with Roosa’s family, but so far have turned up nothing. According to a post on the Ohio Attorney General’s website, Roosa is listed as a white female, 5’3” and 147 pounds, with brown hair and brown eyes. She was reportedly last seen wearing a green shirt and blue leggings/jeans. She was listed as a missing person on Jan. 30. The story of Roosa’s disappearance started in Greenfield on Dec. 31 when she was arrested by Greenfield police officers after family members had been looking for her for three weeks, Roosa’s mother, Greenfield resident Angela Jordan, said. The series of events apparently began in Greenfield, after police officers there picked Roosa up on a warrant and took her to jail. As previously reported, sometime the next day Roosa allegedly complained of abdominal pains, was transported by life squad to Greenfield Area Medical Center, and according to her mother, later walked out of the hospital with her boyfriend. Greenfield Police Chief Jeremiah Oyer did not return phone calls Friday seeking information on the boyfriend’s identity. Barrera said he did not know who the boyfriend was. After leaving the hospital, Roosa asked her boyfriend to take her to Highland District Hospital in Hillsboro, Jordan said, but on the way there she asked to go to the Greystone Motel first to rest and clean up. Barrera previously said told The Times-Gazette that at 5:15 p.m. on Jan. 1, his office received a call reporting criminal damaging at the Greystone. He said an officer arrived on the scene at 5:26 p.m., and after investigating, determined that Roosa had been crawling through the ductwork above motel rooms, fell through the ceiling, refused help from a man in the room she fell into, then took off into the woods near the motel. Barrera said that after clearing the scene, the investigating officer spent about 30 minutes driving around the area asking local residents if they had seen a girl wearing a green shirt and blue leggings, but no one reported seeing her. Anyone with additional information or questions regarding the case is asked to contact Highland County Sheriff’s Office at 937-393-1421. Or, anyone with a cell phone can leave an anonymous tip by texting HCSHERIFF and their message or tip to 847411 (tip411). Anonymous tips can also be submitted on the sheriff’s office website at www.highlandcoso.com.